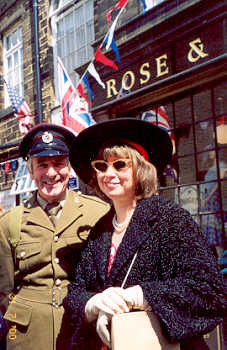 The village of Haworth in the heart of West Yorkshire's Bronte Country is famous (amongst other things) for hosting a very special 1940s weekend. 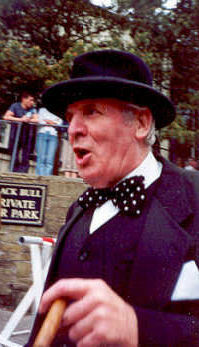 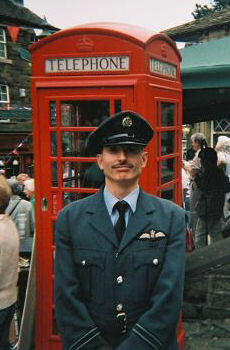 The event usually involves locals and visitors alike getting togged up in 1940s gear to enjoy a wide range of nostalgic events, which often include a RAF vintage plane flypast, a morale boosting visit from "Sir Winston Churchill" and even the "Queen Mother" - as well as spivs peddling their wares and authentic swing jive and Lindy Hop dancing being performed both in the streets during the day and at specially arranged dances which are held at local dance halls and pubs in the evenings. 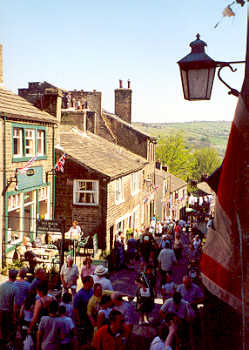 For details of places to stay in Haworth and the surrounding area please visit the accommodation section of the Haworth Village website.